Previous to GO Rome, I had never been off the continent. I have gone to Canada and Mexico but never over the ocean or to a truly foreign country. Everyone told me this experience would change my life, and while I definitely came into it with that mindset, I never thought it would change it this much. I was so nervous to start this journey, to be completely honest the day before I left I woke up and immediately burst into tears. I was going to a foreign country I had never been to before, I didn’t know a single person in the program, and I had to travel internationally all by myself and without the help of my family. At the time knowing no one was terrifying but it was honestly one of the best choices I have made on this trip and has forced me to branch out into a bunch of different groups and really dive into the program whole heartedly. Before this program my bucket list was pretty basic if I have to say so myself. Of course I wanted to travel but honestly I wasn’t really sure what that meant or where I even wanted to go. Some of the things on my “basic” bucket list were I wanted to help people, go camping, get a nice purse, go to a famous music festival, and while I still want to do all this stuff my bucket list has improved by miles and here are some of my new before I die goals! 1. Backpack around Europe: This is now something I am so passionate about doing, I want to see everything after being in Italy for a little over a month. I want to go to France, Switzerland, Germany, Austria, Spain, Greece, Budapest, literally name somewhere and I want to go. 2. Skydive: This is probably shocking to anyone who knows me previously because my biggest fear in life is planes so obviously I have never felt any inclination to go jumping out of one but after seeing that I can put myself in scary situations and gain so much perspective from it I think I’m ready to freefall! 7. Teach in a different country for at least a year: I am an Elementary Education major so this is definitely one of the most important to me on this list because after being in Italy for this long, I honestly do not want to go home. I am so interested in all the world has to offer and I think if I am able to travel I should give back. 8. See the Seven Natural Wonders of Europe: I’ve officially seen one of these, the Blue Grotto in Capri, and it blew me away that something so amazing was naturally created, so now I’m hooked and want to see them all! 10. Run a Marathon: This one I’ll really have to work towards because running really isn’t my thing but hey maybe one day I’ll enjoy it, right? 12. Fly in a Helicopter: This will also be a hard one for me to complete because of the whole terrified of planes thing but I figured if I could skydive I can definitely ride in a helicopter. This is just a little sneak peek into what I hope the rest of my life is like, I want to see as much as I possibly can in this wonderful world because I never truly appreciated it until I finally got the chance to see a little bit more of it. I have most definitely caught the travel/adventure bug and I am absolutely going to embrace it as much as I can. 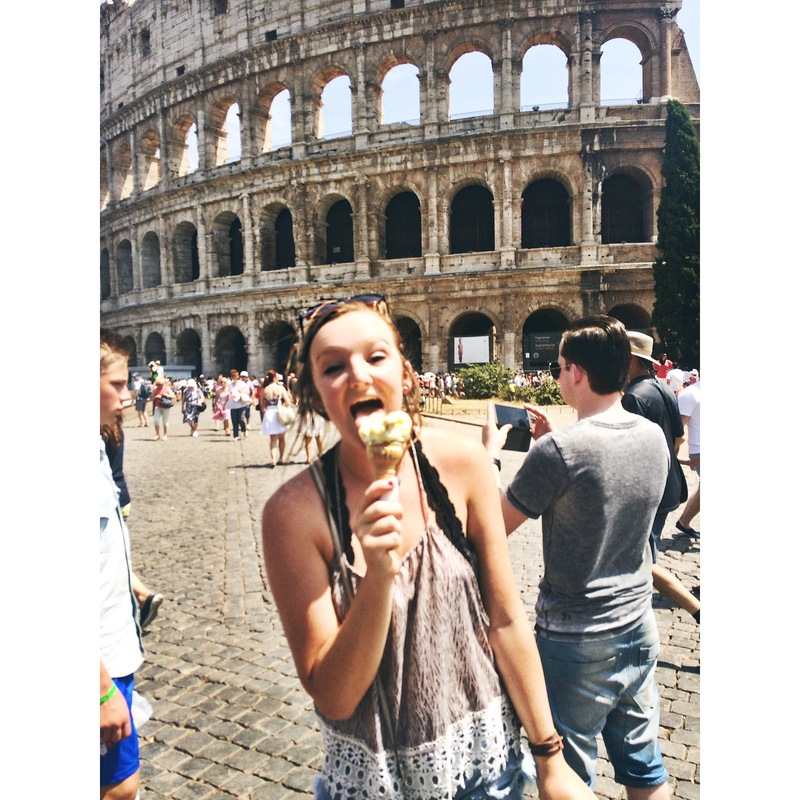 I could not have asked for a better experience with GO Rome and LeadAbroad, and I consider myself very lucky to have seen such incredible things that it makes me want to life my live much more completely and fully. So my advice to everyone: go abroad, and it might just change your entire life.